What could make more sense, for a university that wishes to MOOC, than for it to offer a MOOC that showcases one of its strengths — especially when that strength is in the teaching of communication? As today’s press release notes, the University of Amsterdam’s school of Communication Science is “the largest of its kind in Europe and is among the largest worldwide.” Better still, the University of Amsterdam has done this the efficient, commonsensical way: directly, with no involvement of a third-party for-profit company. 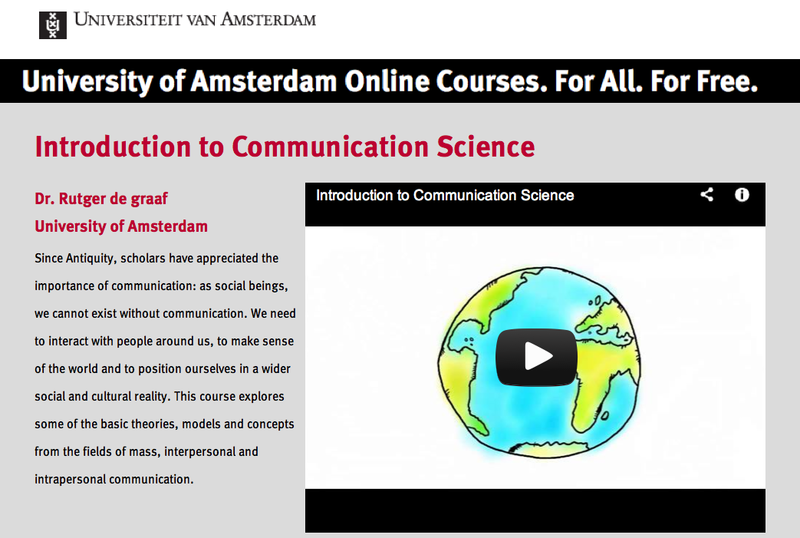 This entry was posted in massive open online courses (MOOCs) and tagged rutger de graaf, university of amsterdam communication science, university of amsterdam mood. Bookmark the permalink.